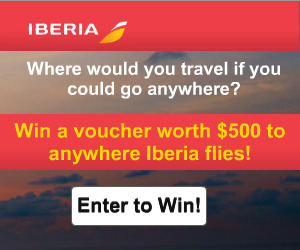 Enter to win a $500 travel voucher from Iberia! Click here to enter to win a $500 travel voucher! Enter to win a Kenmore dishwasher! I don’t know about you, but I would absolutely LOVE to win a new dishwasher!! Mine is 10 years old and half the functions don’t even work on it anymore! If you would like to win a new Kenmore dishwasher from FINISH, then click here to enter to win and good luck!! 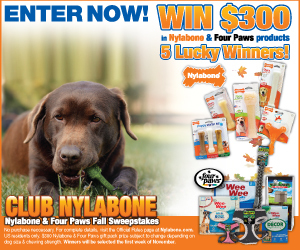 Enter to win $300 worth of Nylabone & Four Paws dog products! Enter for a chance to win $300 worth of Nylabone and Four Paws products for your dog! Entries must be received by October 31 – five (5) winners will be announced the week of November 10, 2014. Enter to win a $500 Whole Foods Market Gift Card! Enter to win Zavida Coffee for a year! Enter to win the Zavida Coffee giveaway! The grand prize winner will receive Zavida Coffee for a Year. 5 runner-ups will each receive a Zavida Coffee Bundle Pack.